Fear of bold public spending is spooking foreign investors, making it harder for the government to fund itself. Italy can lean on banks and local savings to plug the gap. But gorging on debt hurts lenders and growth. And “Quitaly” concerns may lead Italians to move cash abroad. The difference between Italian and German 10-year bond yields reached 288 basis points on Aug. 30, the highest since July 2013. Foreign investors sold a net 33 billion euros of Italian bonds in June and 25 billion euros in May, according to the Bank of Italy. Italian banks’ holdings of domestic government bonds rose to 383.5 billion euros at the end of July, European Central Bank data shows, about 10 percent of their total assets and 19 percent of outstanding Italian government bonds. 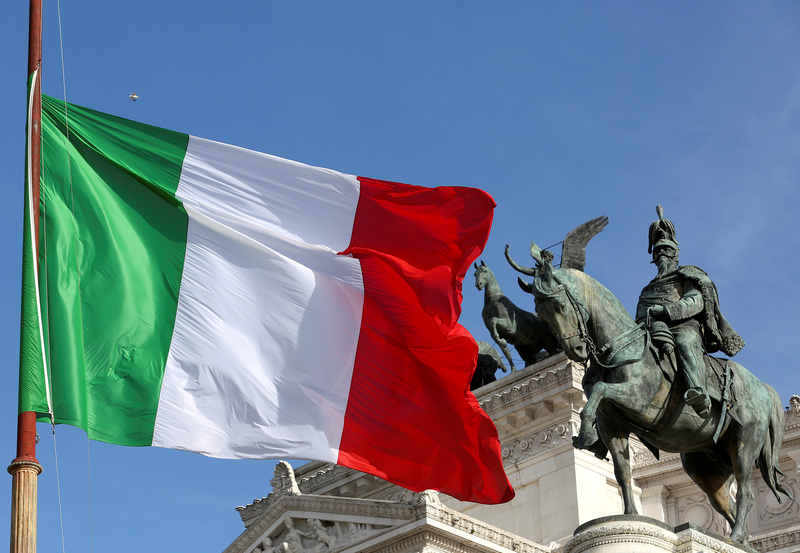 Italy will have to refinance 380 billion euros of government debt in 2019, of which 222 billion euros will be medium-term to long-term bonds, known as BTPs, according to the Italian parliament’s budget office. Italy’s Deputy Prime Minister Luigi Di Maio, the leader of the anti-establishment 5-Star Movement, told Italian daily Il Fatto Quotidiano on Aug. 28 that the country’s public deficit would next year exceed the European Union’s ceiling of 3 percent of GDP to fund spending measures promised before March elections.